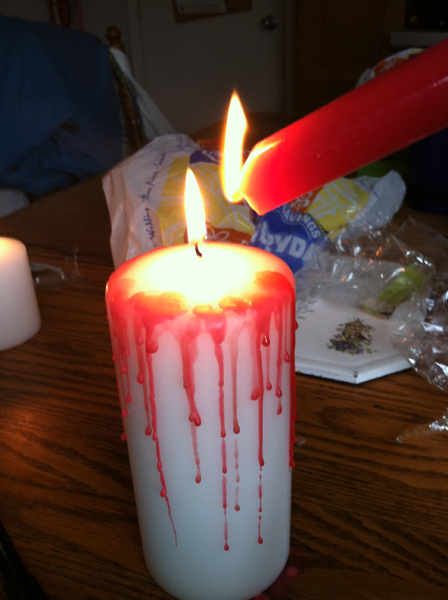 Bloody Candles! How To Make Them! Boo! 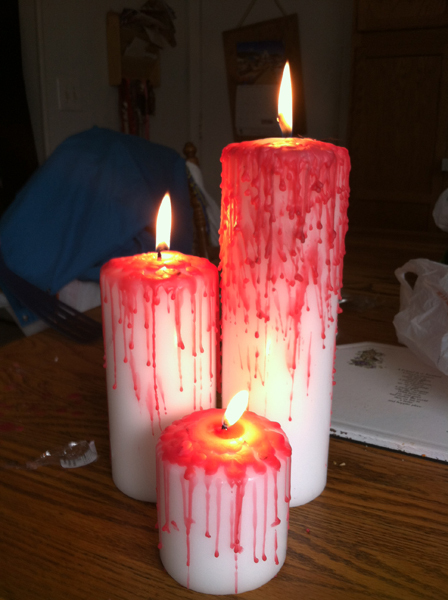 Who doesn’t need a set of bloody candles to celebrate Halloween properly?! Especially when they are super easy to make. You need white pillar candles and some red candles. I used tapers–and almost used them entirely. 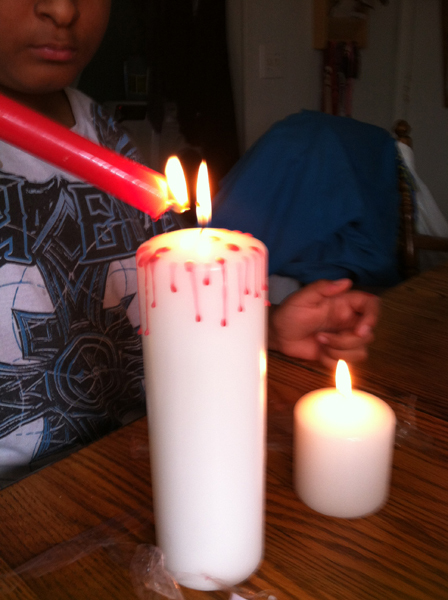 All you have to do it light the red candles and drip them down the sides of the white candles. Very little effort for a cool effect! 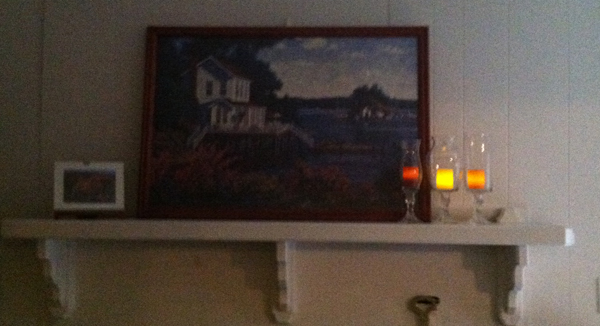 Place foil underneath or be prepared to scrape candle wax off the table top. If you drop to much “blood” in one spot it starts rolling pretty fast and doesn’t land where you expect it to. You can get burned so be aware! 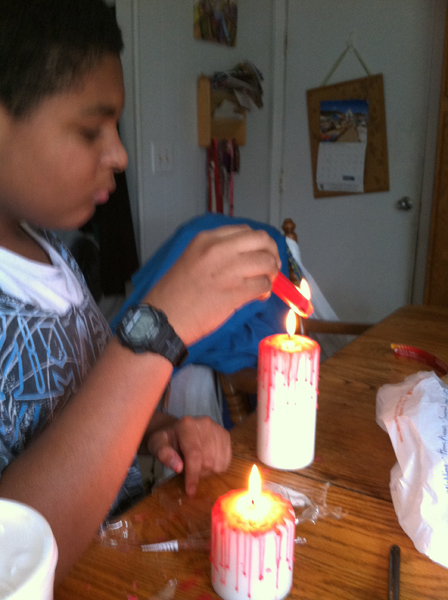 This should be a supervised activity if done with children and never ever leave candles burning unattended! Isn’t my helper handsome? Aaron loved doing this. I was burning the pillar candles at the same time that we were dripping because I wanted to create a crater in the top of the candle. I saw this video and was inspired! 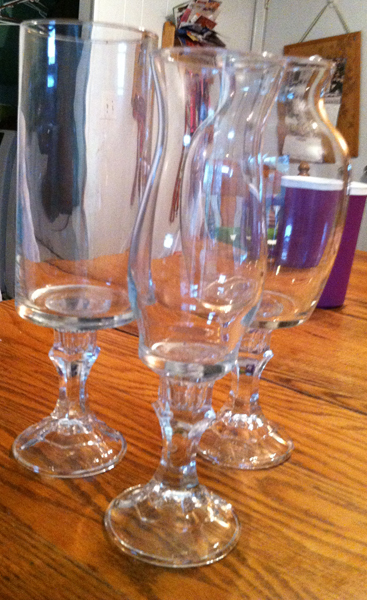 My Dollar Store didn’t have jars big enough to do apothecary jars, but I did do some candle holders. 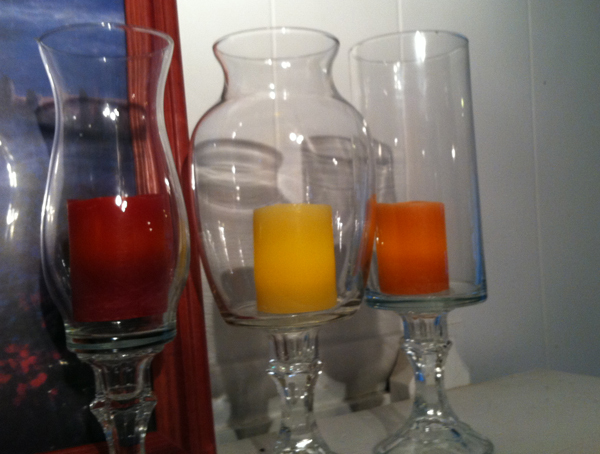 The pieces for the candle holders came from the dollar store, as well as the bottle of alcohol to wipe them down to help the glue stick better. I got the E6000 from a local craft store. The battery operated candles also came from there. This was super easy! I washed the pieces to remove the stickers. Then I applied glue to the candle holder and placed on the bottom of the jar. Voila! Dollar Store craft complete! 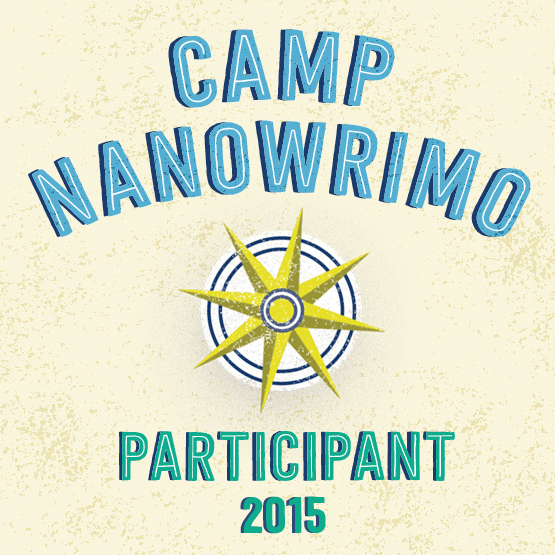 Are you going to do this? I’d love to see what you do! 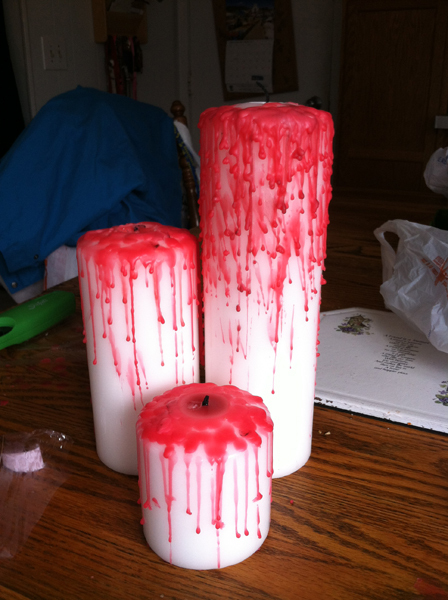 Next up…bloody candles for Halloween! I have another podcast up. And forgot to tell you about it! Check it out!